Celotex TB4000 is one of the Celotex standard range of insulation boards supplied by Insulation warehouse which can be used in multiple applications including :- Pitched and Flat Roofs , Floors , Solid Masonry Walls and Timber / Steel framed structures. TB4000 has been designed for thermal bridging elimination hence the ' TB ' code these boards are comprised of a sandwich of a Zero ozone depletion PIR foam between 2 layers of foil with low emissivity and come in a standard sheet size of 2400mm x 1200mm which can be either 12mm , 20mm , 25mm , 30mm , 35mm , 40mm and 45mm thick , many of these sizes are available from stock to be ordered in any quantity required with a 2-3 working day lead time and sometimes quicker please call for details on availability and prices. Celotex TB4000 insulation board is generally used in making up dual layer systems in roofs where a thicker Celotex GA4000 or Celotex XR4000 board is cut and placed between the rafters with the thinner TB4000 placed over the insulation and rafters eliminating thermal bridging through the roof timbers, if a decorative finish is required a layer of plasterboard is then generally applied over the top of the TB4000 , sometimes this thin layer of insulation and plasterboard is replaced with the Celotex PL4000 insulated plasterboard for speed and ease of application. The Celotex TB4000 when used in floor insulation systems is generally used in making an upstand around the perimeter of the floor eliminating thermal bridging through an external wall into the internal floor , in this instance the 2400x1200 sheets would be cut to width to cover the depth of the floor insulation and the floor screed and usually the thickness of the insulation would be covered by any plaster finish or skirting applied to the internal wall or flooring to the floor. Celotex TB4000 can also be used in partition walls and also for timber and steel framed structures some of these applications generally require some form of secondary insulation material to meet current building regulations such as Celotex GA4000 or Celotex XR4000 or in some cases either a fibreglass insulation or multi-foil insulation. In all cases where building regulations need to be met and no product is specified we strongly advise either talking to your architect or building inspector for advice on which materials you require as each property and project can be different it is very difficult for anyone other than these people to advise the correct insulation to meet your requirements. 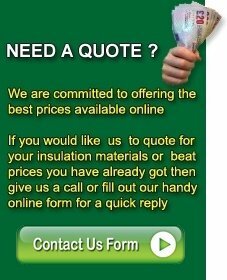 To buy Celotex insulation or for the latest cheap prices on Celotex TB4000 please do not hesitate to call us on 01793 791010 alternatively please fill out an enquiry form we will respond as soon as possible, please ensure all information is completed.